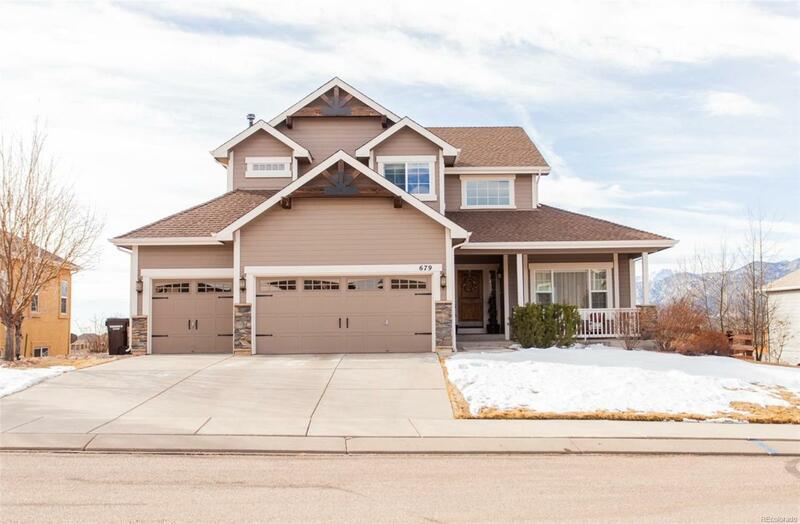 Spectacular views await you in this beautiful Jackson Creek 2-story home. Complete with an inviting entry way, this space is sure to make you feel right at home. This updated, state of the art kitchen has been updated, along with a large island. From the kitchen you can walk out to the upper deck which offers expansive views of the mountain range. The sight is sure to take your breath away. The living room offers large windows where you can see the mountains and a cozy fireplace, along with an office right off the living room. Upstairs, the spacious master suite features high ceilings, a 5-piece bath, and windows facing the mounts, offering sweeping views and great sunlight.